Research estimates that 25% to 33% of LGBTQ relationships are abusive (the same percentage as in straight relationships). Abusive LGBT relationships have the same dynamics of power and control as straight relationships, but frequently go undetected and unreported. Because of this, abuse in LGBTQ relationships can seem like a hidden problem. Attitudes like "women don't hurt each other" or "a fight between two men is a fair fight" can keep people from recognizing abuse. Some abusers threaten to "out" the victim to parents, friends or employers. A victim may be afraid to get help, worried that the police and counseling services will be homophobic and insensitive. How is violence in an LGBTQ Relationship different? Very limited services exist specifically for those who identify as lesbian, gay, bisexual, transgender, or queer. When LGBTQ individuals report abuse to a therapist, police officer or medical provider, they often feel that the abuse is not taken seriously. Homophobia, bi-phobia, and transphobia deny the reality of LGBTQ people's lives, including the existence of LGBTQ relationships, let alone abusive ones. 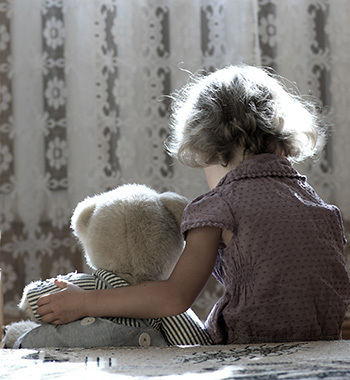 When abuse exists, attitudes often range from "who cares?" to "these relationships are generally unstable or unhealthy." In LGBTQ relationships, there may be additional fears of losing the relationship, because it confirms one's sexual orientation; fears of not being believed about the abuse and fears of losing friends and support within the LGBTQ communities. At the Alliance we make our services available to all individuals of domestic violence or sexual assault.